Tip with nicely rounded totals. The app always gives you a rounded total. This makes it easy to pay (especially in cash!) and process mentally. Need a reminder to split the bill? 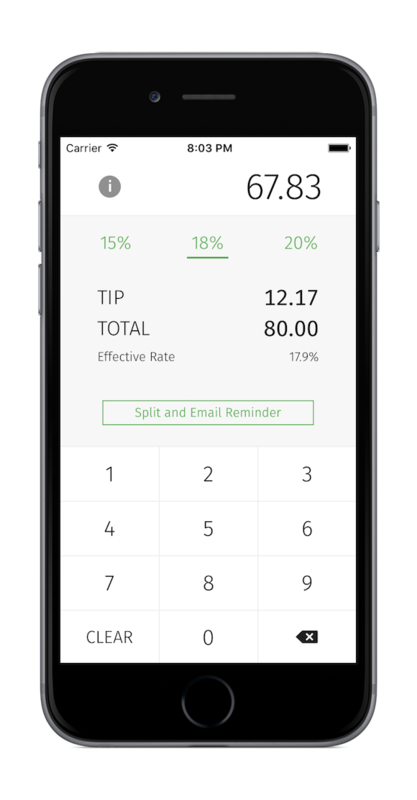 The app helps you send an email to your partner with calculated amount. 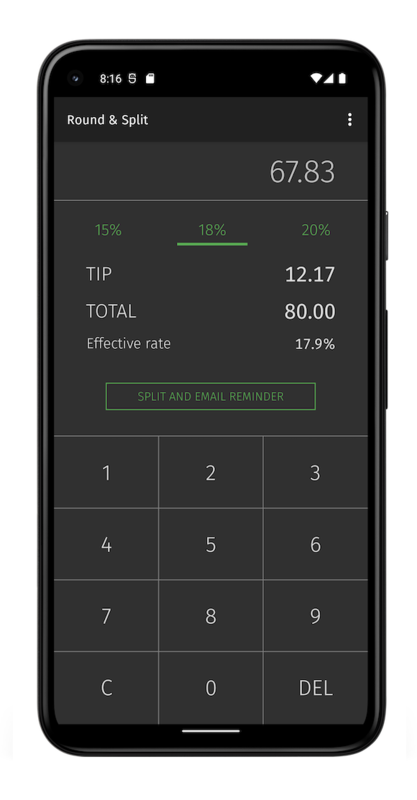 Enter the billed amount, choose from the most common tipping rates, pay the total (or copy the numbers to the receipt), and that's it! Round & Split is available on iPhone and Android. Want to build the app yourself? Round & Split is also an open source project. Copyright ® 2014-2017 by Lukhnos Liu. User interface designed by the Smoking Hare.